The California Environmental Quality Act requires qualified historic resources to be reviewed, and often projects make their way into trial courts, appellate courts, or the California Supreme Court. Decisions often inform updated CEQA guidelines, which are given great weight in later court decisions. This 90-minute webinar will review a few exemplary CEQA court cases related to historic preservation to help participants gain a better understanding of recent interpretations of the statutes. Attorney Susan Brandt-Hawley, King Hall UC Davis ’77, represents public interest preservation groups in CEQA cases statewide from her offices in Sonoma County. Her environmental cases have contributed to precedent in the Court of Appeal and the California Supreme Court. She received the 2001 California Lawyer of the Year award in environmental law from California Lawyer and has been named repeatedly to the Daily Journal's lists of California "top women litigators." She is a member of the California Academy of Appellate Lawyers. D ouglas Carstens, managing partner, is a graduate of Cornell University and UCLA Law School. Prior to attending law school, he served for five years as an officer in the Navy. During law school, Doug was awarded a Joseph Drown Foundation Fellowship to work at the Lands Section of the California Attorney General’s office, and worked as a legal clerk at a business and entertainment litigation firm. 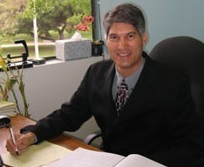 Doug has extensive experience in environmental, land use, municipal and natural resource matters. He was a member of the Long Beach Naval Complex Restoration Advisory Board overseeing the implementation of the Base Realignment and Closure Act process for the Long Beach Naval Station and Shipyard. Doug has also written articles and lectured on CEQA, water quality, public trust, and historic resources issues. Doug has been extensively involved in all of the appellate litigation handled by Chatten-Brown, Carstens, & Minteer. He was lead counsel on the CEQA cases Uphold Our Heritage v. Town of Woodside and Committee to Save the Hollywoodland Specific Plan v. City of Los Angeles, among others. He has been a Southern California “Super-Lawyer” (reportedly representing the top 5% of lawyers) for environmental law since 2009. He is admitted to practice in California, all federal courts in the State of California, and the United States Ninth Circuit Court of Appeals. A my Minteer is a partner at Chatten-Brown, Carstens, & Minteer, a public interest law firm located in Hermosa Beach, focusing on environmental, land use, municipal and natural resources law. Amy primarily represents environmental and community groups and non-profit organizations in their pursuit to protect and preserve the natural environment, historic resources and public health. 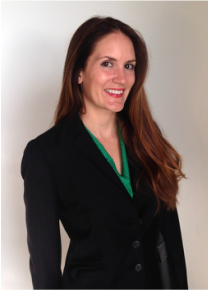 Much of her practice involves litigation under the California Environmental Quality Act. She has also brought litigation under the California Endangered Species Act, National Environmental Policy Act and Section 4(f) of the Department of Transportation Act. Amy worked extensively on CEQA litigation that ultimately resulted in the preservation of the historically significant Lincoln Place apartment complex. She was lead counsel for the successful petitioner in the CESA case Center for Biological Diversity v. Fish & Game Comm. (2008) 166 Cal.App.4th 597. She also represents historic preservation groups throughout the state, including the Palm Springs Modern Committee in its quest to maintain the heritage of modern architecture in Palm Springs and the West Adams Heritage Association in its efforts to protect one of the oldest and grandest neighborhoods in Los Angeles. Amy currently served on the California Preservation Foundation’s Board of Trustees, co-chairing the organization's Advocacy Committee. She also has written articles and frequently lectures on environmental law and historic preservation. Amy holds an undergraduate degree in natural resources and environmental sciences from the University of Illinois and obtained her Juris Doctorate from the University of Michigan. She is admitted to practice in California, the Eastern and Central Federal District Courts in the State of California, and the United States Ninth Circuit Court of Appeals..